If you have a cell phone with Bluetooth capability you also have a landline for your medical alert system or other uses. "Thanks so much! Now I can save money by getting rid of my landline" - R. Sterns, NY N.Y.
"I love this. I can answer my cell phone from my old handset"
"Simple, easy setup - it was a breeze. 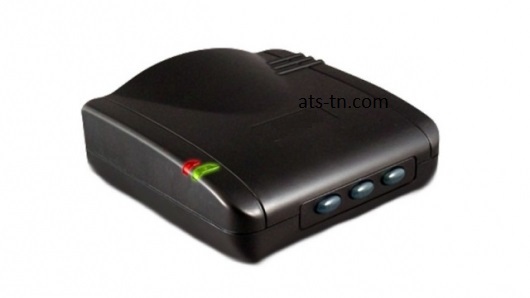 Works seamlessly with the ATS Medical Alert System"
The Cell Phone Adapter lets you make and receive cell phone calls on any phone in a home or small office. Using Bluetooth wireless technology, the adapter pairs to your cell phone. When your cell phone rings, all the phones plugged into the back of the adapter will also ring. You can also make outgoing calls from any phone plugged into the adapter using the cell phone connection. If you need a landline for your medical alert system, this is also the answer. Just plug your medical alert system into the phone jack in the back of the adapter, pair the adapter to your cell phone and you are ready to call. Through the use of Bluetooth technology you can use your cell phone service plan from the comfort and convenience of your home phones. No monthly or Annual Fee and No New Number is necessary. All calls are placed using your cell phone's plan. The Bluetooth Adapter uses active noise-canceling technology to improve voice clarity and eliminate unwanted noise from your cell phone calls. Energy certified. Portable design. Q: Can more than 1 cell phone be paired to the unit? A: YES, three cell phones can be paired at the same time. Q: Can this item be used with a cell phone? A: YES, absolutely, just like any other phone. Q: What is the range between the cell phone and the adapter? A: You should keep your cell phone within about 30 feet of the adapter. Q: Does the adapter and cell phone range effect the distance my alert system will cover. A: No, the distance between your panic button and your alert system is not effected by using adapter. If the range between your medical alert panic button is 600 feet it will still be 600 feet. Q: What if I don't have a land line? A: No problem! 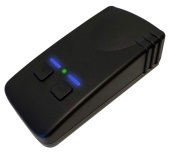 If you have a blue-tooth capable cell phone, purchase a cellular gateway, pair your cell to the gateway, plug in your emergency alert system or telephone, program - - done.